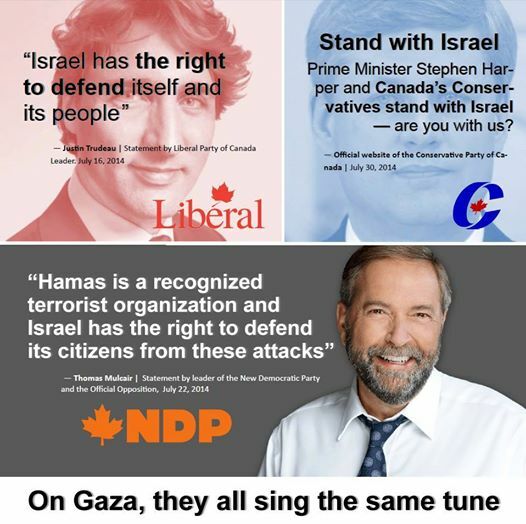 Sana Hassainia, a New Democratic Party (NDP) MP, has quit the party parliamentary bloc over what she felt was an excessively pro-Israel stance on the current war on Gaza. Hassainia was critical of NDP Leader Tom Mulcair in a blog post that appeared online yesterday, noting that she had been forced to stay quiet over her views on the Middle East. “Today, I have the courage to make a significant gesture, to take a weight off my shoulders and stand by my convictions,” she said. The 39-year old MP, of Tunisian origins, said that she would continue her term in the parliament as an independent until the upcoming elections slated next year.